5 Romantic Things To Do With Ketchup was on exhibit at Stockton University's Visual Arts Summer Exhibit, Summer 2016. Ketchup was a parody art installation, taking a shot at the absurd installations that have left the viewers thinking, "they call this art?" 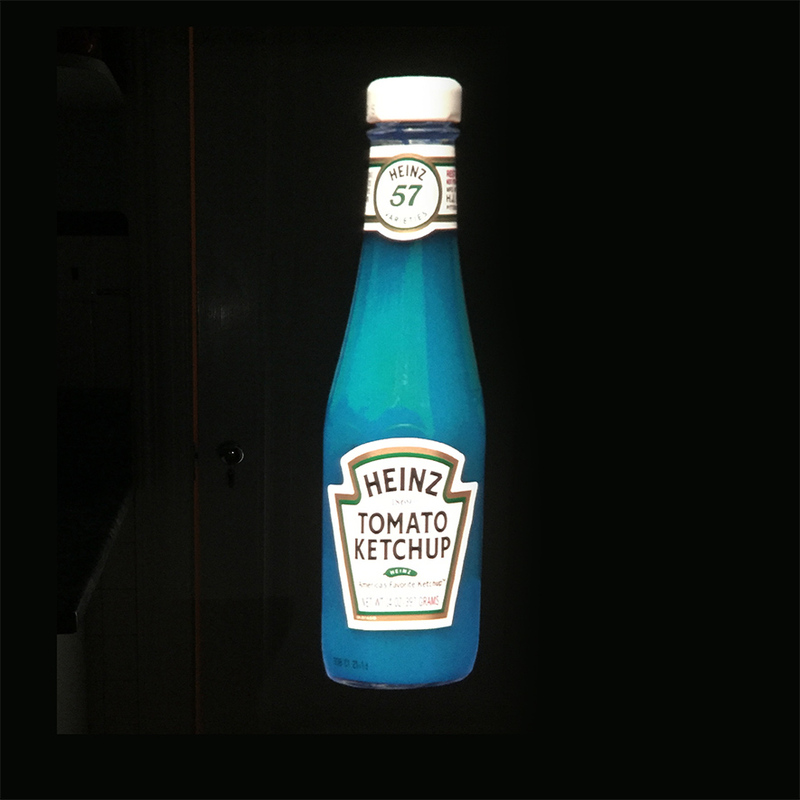 A digitally projected 8' teal Heinz Tomato Ketchup bottle was accompanied by an installation website containing pages that presented bogus absurdly positive reviews about the installation, fictitious installation tour dates and an online shop displaying sold out Ketchup shirts, stickers and prints. This social experiment asks, "is faux art art?" and "can positive reviews and a polished presentation qualify any piece of work unconditional credibility and unqualified recognition?"